Looking to get out of town and enjoy some family time this Labor Day? 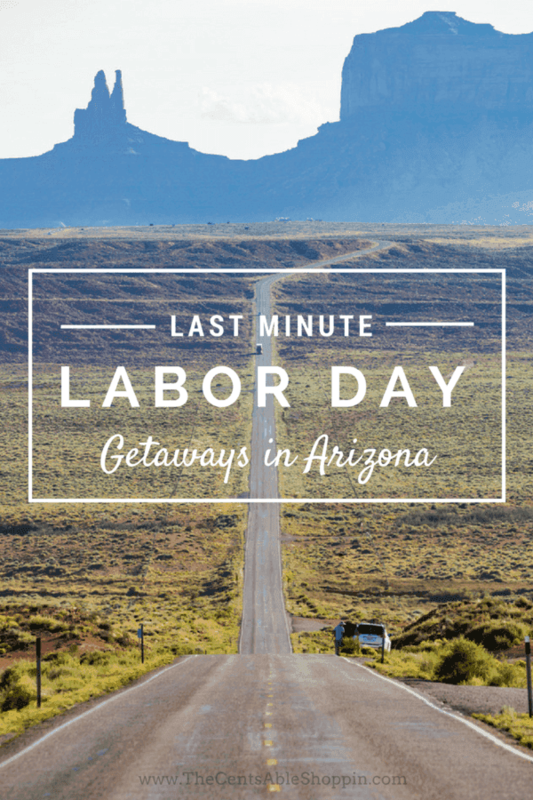 Here are 5 last minute Labor Day getaways in Arizona. Labor Day is fast approaching – do you have plans? Two years ago we took our kids to Bisbee & Tombstone – it’s my favorite place to visit. We used to live in Sierra Vista and we really miss it there quite a bit. Last year we went to Hatch, New Mexico for the Chile Festival and we are going back again this year. It’s quite a drive but our kids have so much fun. If you are off that weekend too and looking for a fun road trip to take with the family, we rounded up 5 of our favorite places to take our kids. It’s hard to pick a favorite because they really had fun no matter where we went. These are all fabulous places for us locals in the Phoenix (possibly even Tucson) area – plan ahead though! If you are staying overnight, book a hotel early… scour Groupon for deals too! Located in Southern Arizona, Bisbee is a city perched on the hillside of an old mining town. You can find gourmet restaurants, antique shops, book stores and restored neighborhoods of European and Victorian Style homes. If you need a bite to eat, Tombstone has plenty of great restaurants, many of which are child-friendly. Bisbee is a cute and quaint little town, it’s very steep to push a stroller if you have a baby, so a baby carrier might be your best option. There are many little restaurants all over town that are cute. Some are more child friendly than others and some offer outdoor seating (which might be your best bet if you have lots of kids). If you visit Bisbee or Tombstone, it’s best to stay Sierra Vista. There is a Holiday Inn and Hampton that are near to the mall The Windemere Hotel has been recently remodeled if you are looking for additional places to stay. It’s best to call ahead and see if they have rooms available. Jerome sits atop what (once) was the largest copper mine in Arizona. When the mine closed, the town became one of the largest ghost towns in America. You can visit the Winery, eat at a Restaurant or shop for Antiques. Visit Prescott the same day to make it a fun day trip. While in Prescott you can walk down Whiskey Row. Perhaps this might even be a great weekend to camp – but be prepared & plan ahead, I’m sure you won’t be the only family that visits! Check to see if you qualify for a FREE or discounted National Parks Pass so you can save a little money, too. If you do take the opportunity to go up there, you might want to also stop at Cathedral Rock as well. It’s best visited in the morning before it gets too hot. (While you are there, head over & grab this Groupon & visit a Winery for LESS – a Wine Tasting for 4 + FREE Wine Glasses). Have you taken any of these trips? What do you usually do over Labor Day?